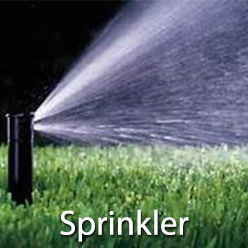 Experience: Aquasense started in 1997 as a Landscape Sprinkler Repair Specialist but since has evolved into a one-stop-shop for all your Landscape System’s needs. 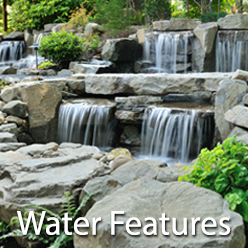 We work with Sprinkler Systems, Low Voltage Landscape Lighting Systems, and Water Features. 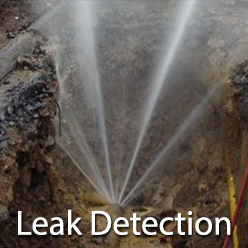 In addition to systems repair and installation we also provide other mechanical services including Backflow Testing & Repair, Exterior Leak Detection, and Water Service Line Repair or Replacement. Organization: In addition to experience it takes organization and that’s why each of our repair trucks will come stocked with over 1000 different parts for your landscape systems. Parts are organized by type and size and packed into portable cases that can be carried to the repair site. Part locations in our repair trucks are standardized so they can be found quickly and efficiently. Efficiency: To complete your job as efficiently as possible each of our service trucks comes stocked with the best tools in the business. One example is universals sprinkler remotes. This labor saving tool can be used to remotely control 95% of all sprinkler systems. 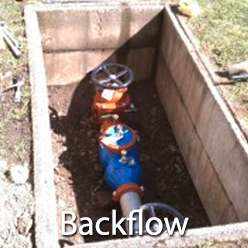 It allows us to turn sprinkler zones on and off from anywhere on site literally cutting repair time in half. Technology: Good organization requires technology and that’s why we use a computerized re-order system. With a computerized inventory our trucks are re-stocked weekly, which means unless it’s a special order item we’ll have the part that you need when we arrive. Reliability: Unlike many service companies that give a 2 to 4 hour appointment window we give a 1/2 hour window with a specific time. We realize that you might also work for a living and that your time is valuable. If we’re running late or early which occasionally happens, our crew leaders carry cell phones and will attempt to call so you don’t waste time. 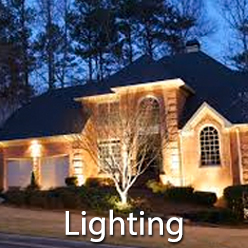 Trust: Aquasense is a licensed, bonded and insured General Contractor and Low Voltage Electrical Contractor. We’ve maintained an A+ rating with the Better Business Bureau for over 10 years now and received the Super Service Award from Angie’s List multiple years including 2013. Many of our new clients are referrals from existing customers. We have 1000’s of references and can often provide you with one in your neighborhood or even on your street.